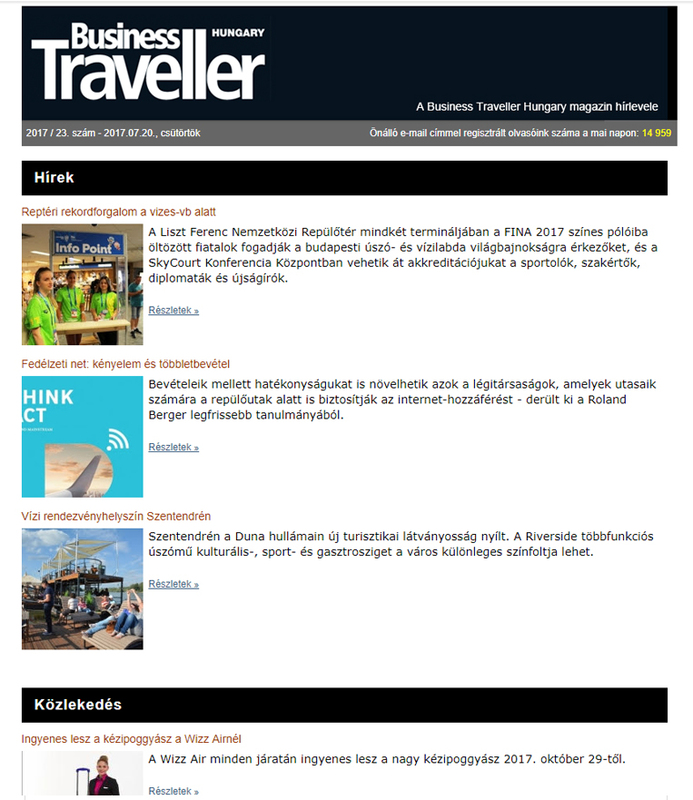 The tourism profession’s free online daily is distributed to more than 25,000 readers registered with independent e-mail addresses. It includes the latest news and information about domestic and global tourism. We also arrange the despatch of corporate Special Editions (Edm)to the entire subscriber base or to segmented lists. 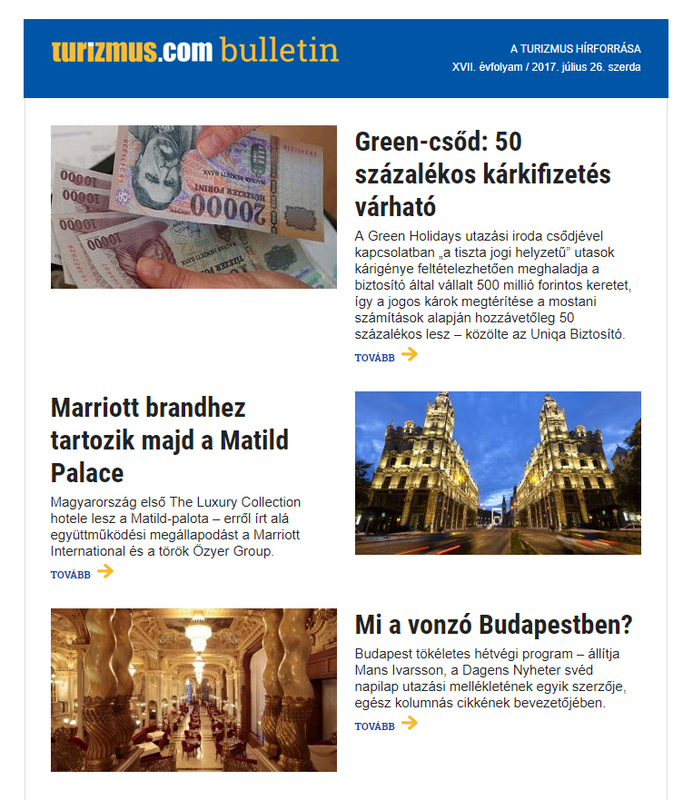 budapestpanorama.com is a programme guide in Hungarian and English that foreign tourists can browse before travelling and during their stay in the capital. 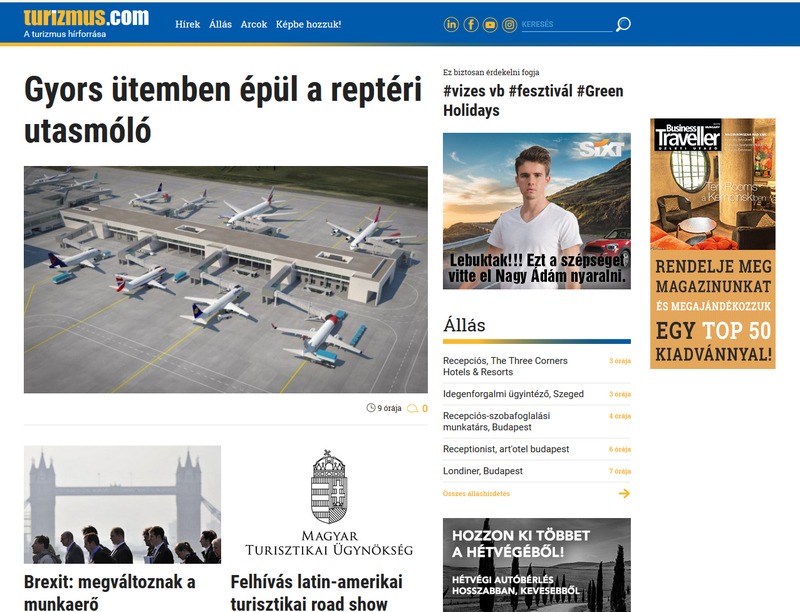 It provides updated information on programmes, events in Budapest, cultural and entertainment venues, with search functions for topic and date.